Found her on the 1880 Jerusalem, Yates, New York census (dist 217 img 1) as C. N. Pepper age 43. Found her on the 1892 Jerusalem, Yates, New York state census (E.D.1 img 8) as Celestia Pepper age 54, born U.S.
Found her on the 1900 Jerusalem, Yates, New York census (dist 136 img 11) as Silicia M. Pepper age 64. Found her on the 1910 Jerusalem, Yates, New York census (dist 175 img 25) as Celestra M. Pepper age 72, widow. She is living in the household of her daughter and son-in-law James and Ella Finger. Found her on the 1880 Watson, Allegan, Michigan census (dist 14 img 13) as Ella Nichols age 21. Found her on the 1900 Watson, Allegan, Michigan census (dist 14 img 13) as Ella Nichols age 39. Found her on the 1910 Custer, Mason, Michigan census (dist 54 img 1) as Ella Nichols age 50. Found her on the 1920 Custer, Mason, Michigan census (dist 83 img 9) as Ella S. Nichols age 61. Found her on the 1930 Custer, Mason, Michigan census (dist 4 img 7) as Ella Nichols age 70. Found him on the 1850 Vernon, Clinton, Ohio census (img 6), as Wesley K. Austin age 4, born Ohio. Found him on the 1900 Milo, Yates, New York census (dist 141 img 12) as John Bassage age 48, farm laborer. Miss Gertrude J. BatcheIor and Fred U. Schmidt, both of this city, were married Wednesday afternoon at 2:30 o'clock in Culrary Episcopal Church Chapel by Rev. Dr. Coley, rector of the church. The wedding march from Lohengrin was played by Gordon Peters assisted on the violin. The groom was attended by Ernest Markis, while the bride was attended by her sister, Miss Irene Batchelor. Found him on the 1920 Potter, Yates, New York census (dist 184 img 18) as Walter Bennett age 34, farmer. Father, mother born New York. Found him on the 1860 Claverack, Columbia, New York census (img 85) age 64, farmer. Also living in the household is Philip Traver, age 4. Found him on the 1880 Claverack, Columbia, New York census (district 7, img 19) age 83, farmer. Living next door to him is Philip Traver, age 23 and his wife Anna, age 22. Found him on the 1920 Saugerties, Ulster, New York census (dist 197 img 7) as Jansen W. Dederick age 11. Found him on the 1930 Saugerties, Ulster, New York census (dist 54 img 1) as Jansen W. Dederick age 21, single, living at home. See her on the 1870 Clermont, Columbia, NY Census as Margaret Fingar, age 31. Found her on the 1880 Germantown, Columbia, New York census (dist 11 img 17) as Margaret Fingar, age 41. Found her on the 1900 Orange, New Haven, Connecticut census (dist 406 img 10) age 8. Found her on the 1910 New Haven Ward 2, New Haven, Connecticut census (dist 379 img 40) as Lottie Ferdinandus age 18. Found her on the 1880 Tivoli, Dutchess, New York census (dist 65 img 9) age 2. Found her on the 1940 Tivoli, Dutchess, New York census (dist 14-97 img 9) as Alma O-Hara age 61, widow. She is living in the household of her sister and brother-in-law Daniel and Beulah O'Hara. Found her on the 1880 Maple Creek, Outagamie, Wisconsin census (dist 122 img 3) age 5. Found her on the 1900 Maple Creek, Outagamie,Wisconsin census (dist 91 img 2) as Adela Tate age 25. Found her on the 1905 Union, Waupaca, Wisconsin state census (img 3) as Delia R. Tate age 28. Found her on the 1910 Maple Creek, Outagamie, Wisconsin census (dist 144 img 4) as Adelia Tate age 36. Found her on the 1920 Maple Creek, Outagamie, Wisconsin census (dist 221 img 4) as Adelia Tate age 43. Found her on the 1940 Other Places, Blount, Tennessee census (dist 5-8 img 19) as Catherine Finger age 7 months. Found her on the 1910 Jacobs Fork, Catawba, North Carolina census (dist 26 img 11) age 4. Found her on the 1920 Jacobs Fork, Catawba, North Carolina census (dist 40 img 23) as Roberta Finger age 14. Found her on the 1850 Delaware, Pike, Pennsylvania census (img 4) as Mary E. Finger age 1, born Pennsylvania. 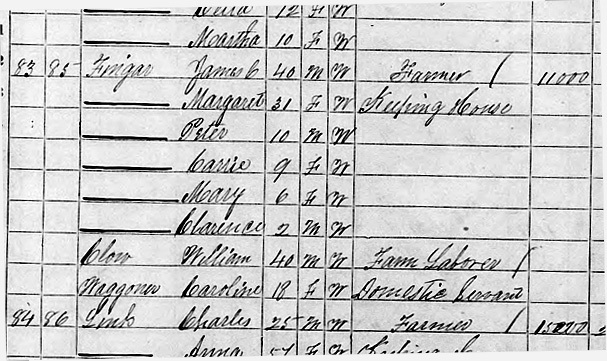 Found her on the 1860 Milford, Pike, Pennsylvania census (img 13) as Emma Finger age 9, born New Jersey. Ralph E. Finger, aged 45, of Worcester, died November 17 at his home following a short illness. He was born October 12, 1912, in Saugerties, a son of Floyd E. and Lilly (Daringer) Finger. He married Agnes Somerville of Worcester on August 30, 1940 at Flushing, L.I. He was a steamfitter and had lived in Worcester for ten years. He formerly lived in Flushing. He was a member of the First Baptist Church in Flushing. Surviving are his wife; one daughter, Linda; and one son, Gary, both at home; his father; one sister, Mrs. William Cherry of Chittenango; one brother, Woodrow of Utica, and five nieces and nephews. Funeral services were held at 2 p. m. on Tuesday in the Skinner Funeral Home in Worcester, with the Rev. George Silvurn of Worcester Baptist Church, assisted by Mr. Finger's brother, the Rev. Woodrow Finger of Emmanuel Baptist Church in Utica and by Mr. Finger's brother-in-law, the Rev. William Cherry of First Baptist Church in Chittenango, officiating. Burial was in Maple Grove Cemetery in Worcester. Found him on the 1920 Saugerties, Ulster, New York census (dist 197 img 9) as Ralph E. Finger age 7. Found him on the 1930 Saugerties, Ulster, New York census (dist 54 img 1) as Ralph E. Finger age 17. The name on her death certificate is Sarah Fin Hill. Found her on the 1880 District 10, Blount, Tennessee census (dist 193 img 1) age 3. Found her on the 1900 Civil District 10, Blount, Tennessee census (dist 21 img 22) as Sarah P. Hill age 22. Has given birth to 1 child, 0 are living. Found her on the 1930 District 19, Blount, Tennessee census (dist 28 img 8) as Sarah F. Hill age 53. May 25, 1967. 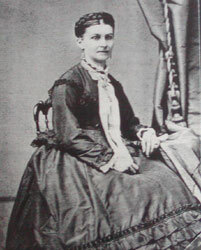 Mrs. Sophie A. (Betty) Dickman of 451 North Dr. Survivors are her sister, Mrs. Roy (Mary) Grube; two brothers. George and Gustav Finger; several nieces and nephews. Friends may call 2-4. 7-9 P.M- at the Charles L. Younglove Funeral Horne. Inc. 1511 Dewey Ave. Service Monday at 1 p.m. Rev. Robert deForrest officiating. Interment, Pine Hill Cemetery. Found her on the 1905 Rochester, Monroe, New York state census (E.D.02 img 24) as Sophia M. Finger age 3 months. Found her in the 1929 Rochester, New York city directory as Sophia A. Finger phone opr res 479 Post av. Also listed at this address are Henry E. Finger and August and Theresa Finger. Found her on the 1940 Rochester, Monroe, New York census (dist 65-336 img 2) as Sophia Dickman age 35. Found him on the 1910 Township 139, Stark, North Dakota census (dist 170 img 8) as Vernon Finger age 5. He is not listed with the family in 1920. Found him on the 1910 Kingston Ward 2, Ulster, New York census (dist 126 img 12) as James F. Forman age 7. Found her on the 1920 Civil District 9, Blount, Tennessee census (dist 196 img 16) as Ruth Lee age 2 years 4 months. Found him on the 1910 Justice Precinct 4, Parker, Texas census (dist 77 img 23) as Oran Melton age 2. Found him on the 1920 Garner, Parker, Texas census (dist 72 img 11) as Oran M. Melton age 12. Found him on the 1930 Precinct 6, Knox, Texas census (dist 14 img 12) as Oran Melton age 22, single, living at home. Found him on the 1900 Civil District 14, Knox, Tennessee census (dist 85 img 4) as Noah B. Pate age 10. Found him on the 1870 Clay, Onondaga, New York census (img 73) age 34, farmer. Found him on the 1880 Clay, Onondaga, New York census (dist 166 img 10) age 44, farmer. Father born Massachusetts, mother born Vermont. Found him on the 1900 Clay, Onondaga, New York census (dits 42 img 15) age 64, farmer. Father, mother born Massachusetts. Found him on the 1930 Miser Station, Blount, Tennessee census (dist 5 img 17) as Michael R. Purkey age 45, derrick's man, marble quarrey. His wife's sister Nellie Finger age 39 is living in his household. Found her on the 1900 Pike, Wyoming, New York census (dist 131 img 22) as Mildred Sheldon age 3. Found him on the 1870 Copake, Columbia, New York census (img 11) age 16. Found him on the 1870 Ghent, Columbia, New York census (img 11) as Henry T. Snyder age 68, farmer. Also in his household is Kate Kline age 16, domestic servant. Found her on the 1910 Gorham, Ontario, New York census (dist 99 img 27) as Cora B. Fingar age 35. Has given birth to 2 children, 2 are living. Found her on the 1930 Geneva, Onatrio, New York census (dist 26 img 6) as Cora Finger age 53. Address: 364 Exchange St.
Adelaide L. Fraleigh, 68, of West Woods Road, Red Hook, died March 30 at Northern Dutchess Hospital in Rhinebeck. Mrs. Fraleigh lived in Red Hook since 1974. She previously lived in Clermont. She taught in Germantown schools and was in charge of the Clermont post office for 16 years. Mrs. Fraleigh was born Sept. 30, 1917, in Livingston, the daughter of James and Lila Vosburgh Wagner. She was married to the late Burton Fraleigh. Mrs. Fraleigh is survived by two sons, Burton E. Fraleigh and Kenneth Fraleigh, both of Red Hook; two daughters, Ruth Dykeman of Elizaville and Linda Pockette of Clearwater, Fla.; two brothers, James Wagner and Edward Wagner, both of Livingston; two sisters, Ruth Fluegel of Germantown and Lilly Lown of Red Hook; nine grandchildren and several nieces and nephews. Arrangements were directed by the Burnett, Rockefeller and Hand Funeral Home, 30 South Broadway, Red Hook Burial will be in Clermont Cemetery, Clermont.